Today’s library users do not carry pencils and notebooks to a library. They do no longer want to be isolated to concentrate on deep study or contemplative reading when they are at a library. Rather, they have the dire need to be connected to the biggest library the human race ever had, the World Wide Web, always and even more so when they are at a library walking through the forest of fascinating knowledge and information. 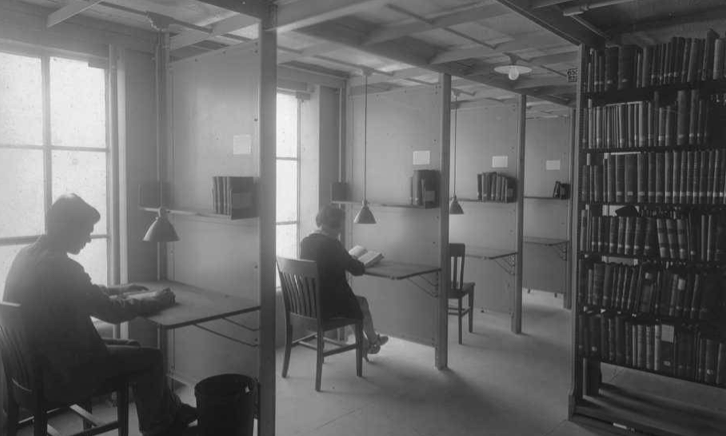 The traditional library space packed with stacks and carrels does not serve today’s library users well whether they are scholars, students, or the public visiting a library for research, study, or leisure reading. As more and more library resources are moved to the fast and convenient realm of the World Wide Web, libraries have been focusing on re-defining the library space. 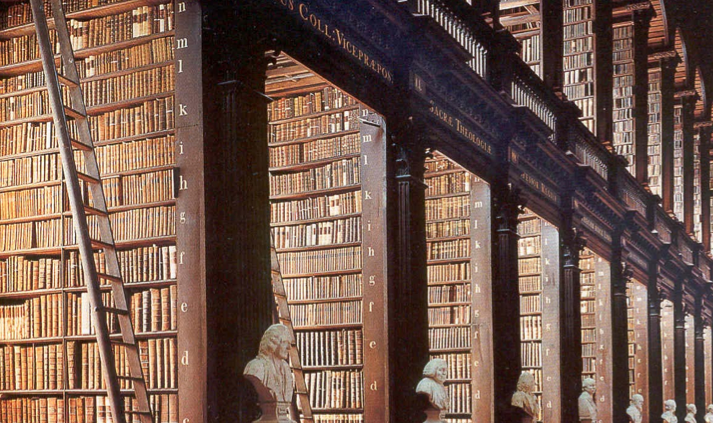 Now, many libraries boast attractive space almost comparable to trendy, comfortable, and vibrant coffee shops. The goal of these new library spaces are fostering communication, the exchange of ideas, and social learning. Does Your Library Have a Vision on e-Books? 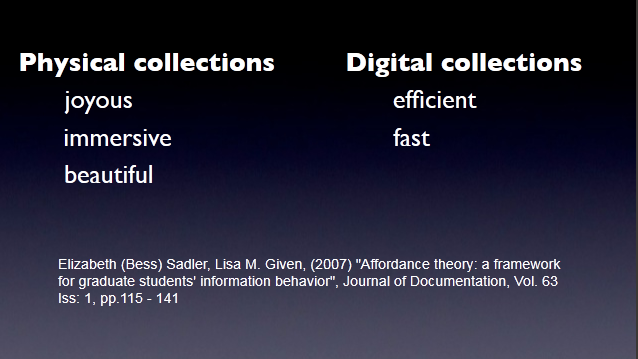 Research Librarianship in Crisis: Mediate When, Where, and How? Posted in: Books, Library, Research, Technology, Usability.